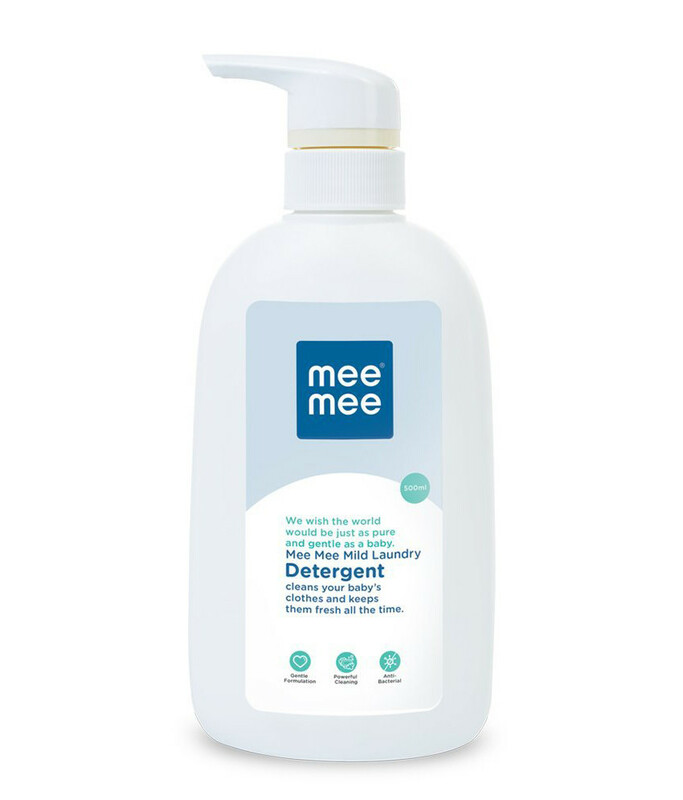 Mee Mee's Mild Laundry Detergent cleans your baby's clothes and keeps them safe from harmful chemicals. For your child's safety and health. Baby's skin is delicate and sensitive. With baby in mind, mee mee mild baby laundry detergent is carefully made to the highest safety standards. It is a gentle and hygienic detergent specially formulated to take care of your baby's clothing.